Our holiday cottage St Anns is situated in the exclusive and charming Devon village of St Marychurch/Babbacombe area of Torquay. 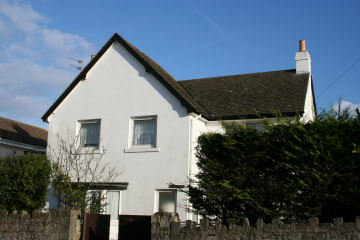 This characterful, detached cottage with walled garden has 3 bedrooms and sleeps 6 comfortably. The house also boasts a private drive and sun trap landscaped gardens. The cottage has views over the Petit Tor Downs, Torquay Golf Course and Watcombe. The closest beach is Oddicombe, a 14 year consecutive winner of the Blue Flag Award and designated Euro Beach. You can choose to take the Cliff Railway down to Oddicombe beach, or if you prefer you can walk down the path directly to the neighbouring Babbacombe beach. The property is an ideal base for exploring the area, as it is very close to popular attractions, eg. Babbacombe Model Village, Bygones. As the cottage is also close to Dartmoor, it is also a perfect base for a walkers. When not on the beach or out visiting the sites, you can also visit St Marychurch's delightful and charming collection of shops. There are also several restaurants such as the French restaurant, Lejettes. The chef, who is from Normandy, offers a daily specials board, which is a must for anybody who enjoys seafood. The central shopping area of Torquay is just 1.5 miles away. The accommodation is gas centrally heated and is therefore very comfortable in winter. New maple style fitted kitchen, gas oven, fridge, freezer, washing machine, tumble dryer, microwave, kettle, toaster, iron and board etc. Extra Bed/s: Although the accommodation can cater for 6 people, there is also an airbed with electric pump available as well, which could provide space for 1 more person. The rooms are also spacious, so if necessary further airbeds can be provided. Deposit: A 40% deposit is required to secure the accommodation, if booked less than 8 weeks before the start, otherwise the full amount is payable. Day Tours Barcelona - Interesting day tours for private groups in popular Barcelona. We have both walking tours, private bus tours and excursions to wineries. Kerala tour - Kerala tour :- indianholiday provides complete information about kerala and kerala tour with online booking. Travel Kerala for a lifetime experience with indianholiday.